Kareem Shaker wrote a very good blog post about RED Leadership, a term he coined for his 3 leadership pillars: Respect, Empathize, and Develop. I agree and I think the same rule should apply to how the Project Manager deals with people in higher positions. During my transition to be a Project Manager, the hardest thing for me to learn was to be respectful without being passive. This was especially critical around authority figures, such as senior managers, directors, and executive sponsors in conflict situations. My only two default settings were to either to be too passive or overly aggressive. We often mistake being respectful to being totally passive and submissive to the point where we are unable to tell truth to powers. I think the root cause of many project issues can be traced to this lack of assertiveness on the part of the Project Manager. Whether we are dealing with uncommitted sponsors or out of control scope creep, having the capacity (and willingness) to be assertive and at the same time be respectful can make the difference between success and failure. When we are assertive and respectful, people tend to have a lot of respect for us in return as they know we are individuals who will not allow ourselves to be pushed around. 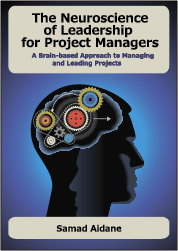 I am passionate about this topic as it is at the heart of the mindset required to be an effective project manager. Unfortunately PM training spends too much time focusing on what the Project Manager should “do” and not on what they should strive to “become” to lead successful projects. What strategies have you found successful in dealing with authority figures? Very nice post to which I completely agree….. Thank you Soma for taking the time to read the post and comment.